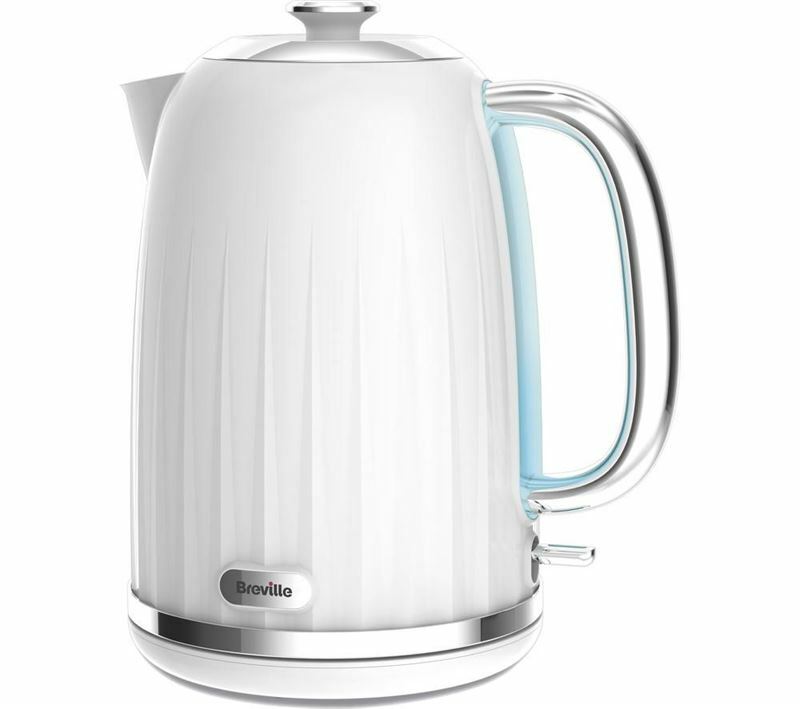 Effortlessly sleek and stylish, the Impressions 1.7l Jug Kettle boasts a minimalistic design complete with a high gloss finish and chrome flourishes. 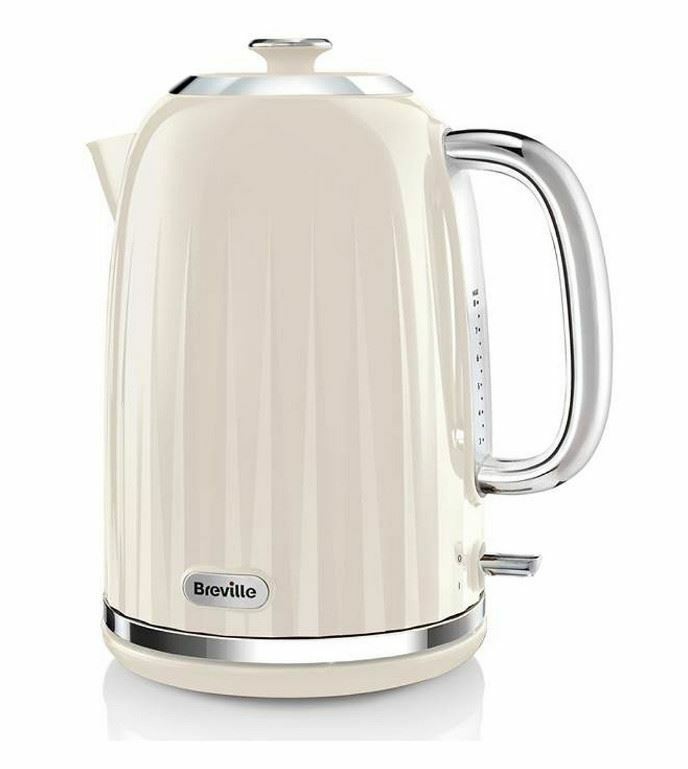 Perfect for the modern kitchen, and busy household, the kettle marries this style-conscious ridged-body design with high-quality functionality and a range of clever features. With a capacity to fill 6-8 cups, the 1.7l Jug Kettle is well suited to a busy household, and families who like to entertain guests. The 3kW heating element of the kettle guarantees ultra-fast boiling times, so no more waiting around during the busy morning routine for your hot drinks and instant porridge. And thanks to the large, illuminating boiling window, you can keep abreast of your water’s progress. 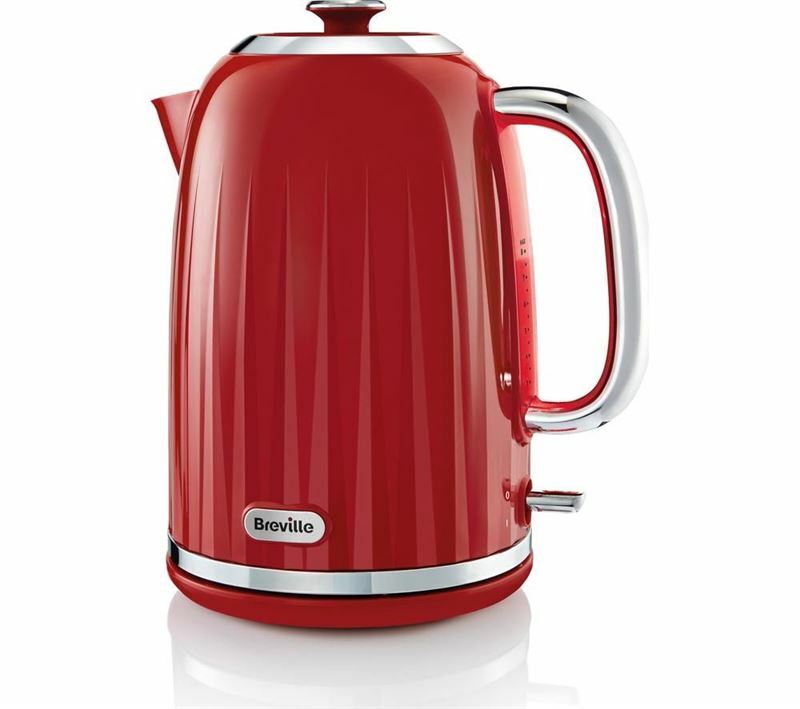 The 1.7l Jug Kettle is packed full of clever little features, aiding the modern household. 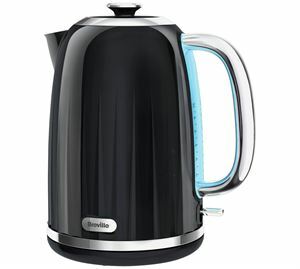 A simple to pull off lid, a removable Limescale filter and non-slip feet all make the kettle easy and efficient to use. Thanks to the small footprint of the appliance, the kettle takes up minimal space in the kitchen. So whether you’ve got a large family kitchen, complete with extensive work surface space, or a smaller area for whipping up meals and snacks; the Impressions 1.7l Jug Kettle can fit in snugly. The in-built cord storage can further save space on the kitchen work surface. 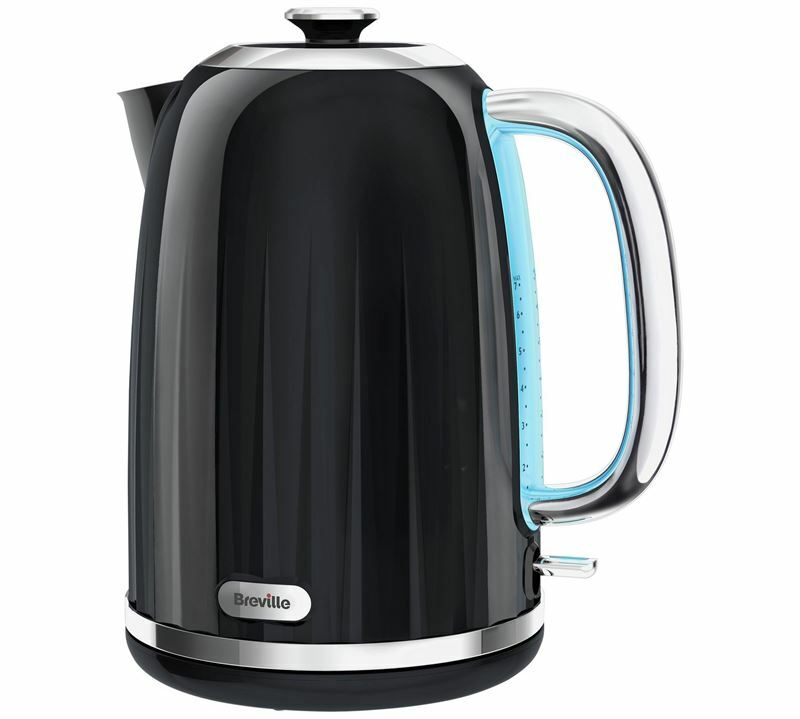 Complete with a large ergonomic handle, oversized boiling switch and surprisingly lightweight design; the kettle is well-suited to all users, even those who suffer from limited or reduced dexterity. Ideally positioned for the busy household, the Impressions 1.7l Jug Kettle is wonderfully quick and easy to clean. Thanks to the high gloss and chrome finish, the kettle can be simply wiped clean, so your kitchen needn’t look like a bomb has exploded by the time breakfast is served. The unique ridged textured design of the Impressions collection jug kettle will make a style statement in any kitchen. With a plastic body, chrome accents and a black high gloss finish, the VKJ755 jug kettle has a 1.7L capacity, fast boiling element and cord storage.